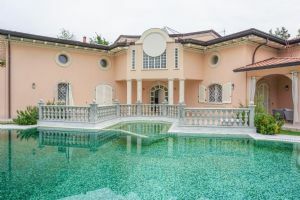 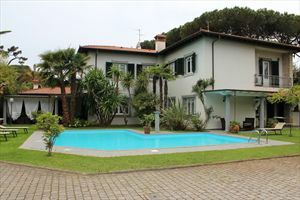 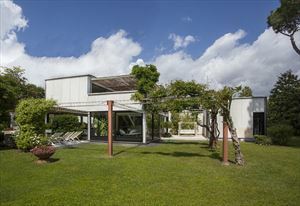 Spacious villa (340 sqm) with garden ubiata in central Forte dei Marmi, 500 meters from the sea. 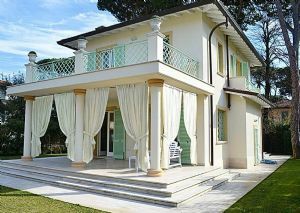 With air conditioning, CCTV system, underfloor heating, alarm system, satellite TV, internet, automatic gate, 3 cars, barbecue. 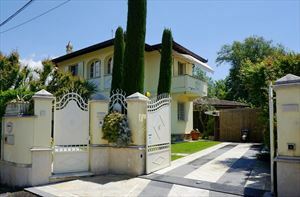 On 3 levels - basement, ground floor, first floor and attic. 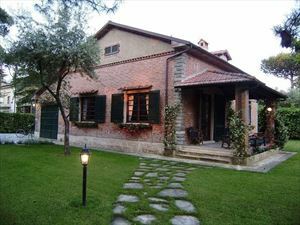 Taverna - snooker room and bedroom with bathroom, laundry, bathroom with shower. 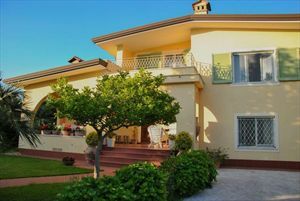 Ground floor - porch, entrance hall, lounge, kitchen with separate entrance, bathroom. 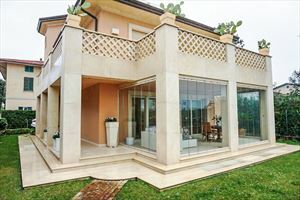 First floor - master bedroom with bathroom and terrace (30 sqm), 2 single bedrooms with bathroom and terrace (6 square meters).